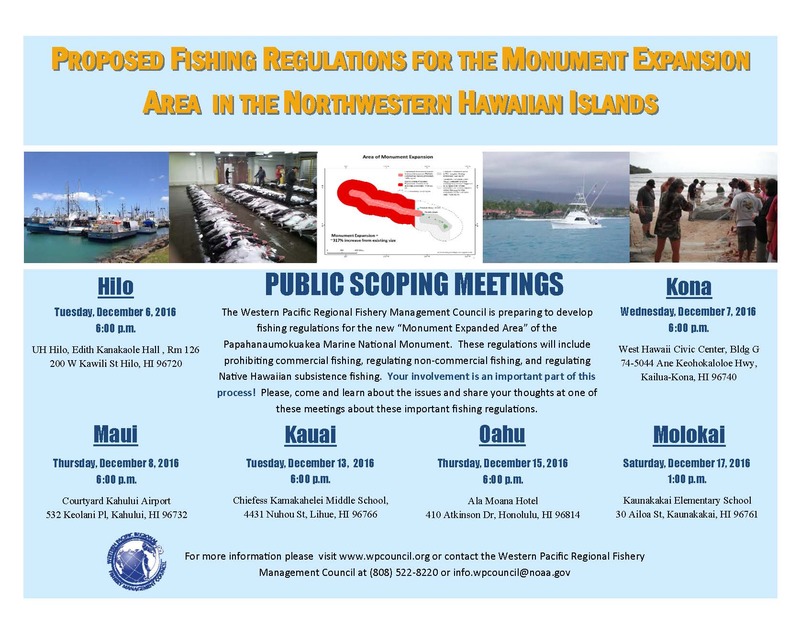 The Western Pacific Regional Fishery Management Council is preparing to develop fishing regulations for the new “Monument Expansion Area” of the Papahanaumokuakea Marine National Monument. These regulations will include prohibiting commercial fishing, regulating non‐commercial fishing, and regulating Native Hawaiian subsistence fishing. Your involvement is an important part of this process! Please, come and learn about the issues and share your thoughts at one of these meetings about these important fishing regulations.